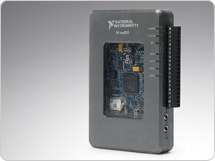 National Instruments continuously expands the vision of Graphical System Design by enhancing the underlying technologies. Some of these enhancements open up completely new possibilities in test, measurement & embedded design while some other enhancements equip the customers to address their existing applications better. Attend the Web Seminar Series on this November to understand how National Instruments platforms and products are equipping engineers in various applications and industrial domains enhance their productivtiy. Today’s engineers face a growing number of test challenges, whether it is during a product’s design phase or a high-speed measurement in production. More and more devices contain mixed-signal or hybrid components. This added complexity means that traditional test equipment and methods may no longer be cost and time efficient. View this webcast which illustrates how functional validation can be performed on a wide variety of semiconductor devices using mixed-signal, digital, and RF instrumentation in the PXI form-factor. Multimedia devices such as set-top boxes, Blu-ray players and mobile devices contain several technologies like audio, video, and wireless protocols which require high-performance, automated testing in validation and production to ensure they meet ever-growing consumer expectations. 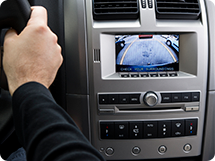 In this webcast, learn how to take advantage of NI’s suite of products to test common audio and video interfaces such as composite, component, and HDMI video as well as stereo and SPDIF audio. RF system design is challenging because prediction of its performance heavily depends on the accuracy of the models used in the simulation. A more automated and accurate approach is to use a combination of test and measurement (T&M) instrumentation and system design software to build customized models. In this webinar, learn how this approach uses National Instruments’ instrumentation and LabVIEW software combined with AWR’s Visual System Simulator software to build customized models that can predict the performance of an RF system to a higher degree at the design stage itself. NI Vector Signal Transceiver (VST) combines a vector signal analyzer and vector signal generator with a user-programmable FPGA for real-time signal processing and control. 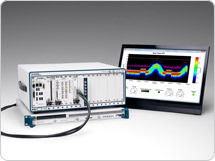 Built on the NI LabVIEW reconfigurable I/O (RIO) architecture, it delivers programming flexibility and cutting-edge RF hardware to meet the most challenging RF applications. In this webcast discover the many features of the VST that make it the world’s first Software Defined Instrument. Attend this webcast to learn how to build stand-alone engineering systems and teach multiple design concepts using one portable, student-ready device. NI myRIO is an embedded hardware device designed specifically to help students design real, complex engineering systems more quickly and affordably than ever before. Design Real Systems, Fast. Attend this webinar to gain insights into the current trends in the wireless communications industry. Learn about the most pressing challenges being faced by the top players in this industry and how academia can help solve these challenges. The National Instruments hardware-in-the-loop test platform utilizes open hardware and software technologies to reduce the time, costs and risk associated with control system development. These solutions scale from low-cost PC-based testers to high-performance multi-controllers and can improve system integration of test applications as well as provide test solutions from requirements definition to manufacturing test. In this webcast, understand how HIL testing improves control system validation, and learn why engineers choose the NI HIL Platform.